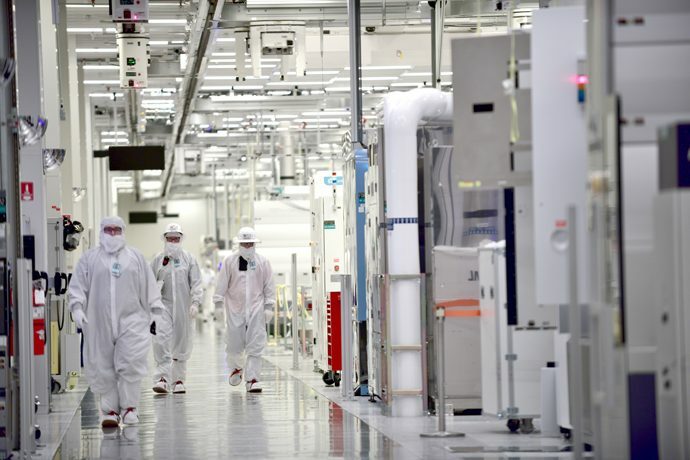 In Oregon, Intel is now in the early planning phase to add additional manufacturing capacity at the Ronler Acres campus. A permit application was submitted to the city of Hillsboro and the company is engaging community stakeholders on its proposed expansion. Pending all permits, Intel expects construction in Oregon to begin later this year. In Israel, Intel announced it will submit a business plan to the government of Israel for continued investment in the company’s Kiryat Gat manufacturing site. Intel did not disclose details of the project, including schedules, costs and technologies. In Ireland, Intel submitted an application to Kildare County Council for an extension and revision to a planning permission, which was granted in October 2017. The permission granted in 2017 relates to development of manufacturing space and support buildings on the westside of the Leixlip campus. Intel estimates that having additional fab space at the ready will help us respond more quickly to upticks in the market and enables us to reduce our time to increased supply by up to roughly 60 percent. It is important to note that site expansion, and the related investment, is expected to entail multiyear construction activities that will be taken in stages. As always, these stages are subject to change based on business, economic and other factors. The statements in this release that refer to future plans and expectations are forward-looking statements that involve a number of risks and uncertainties. Words such as “anticipates,” “expects,” “intends,” “goals,” “plans,” “believes,” “seeks,” “estimates,” “continues,” “may,” “will,” “would,” “should,” “could,” and variations of such words and similar expressions are intended to identify such forward-looking statements. Statements that refer to or are based on estimates, forecasts, projections, uncertain events or assumptions, including statements relating to our plans to increase capacity, also identify forward-looking statements. All forward-looking statements included in this news release are based on management’s expectations as of the date of this earnings release and, except as required by law, Intel disclaims any obligation to update these forward-looking statements to reflect future events or circumstances. Forward-looking statements involve many risks and uncertainties that could cause actual results to differ materially from those expressed or implied in such statements. The post Update: Intel Manufacturing Site Planning appeared first on Intel Newsroom.